Spain said Tuesday it has cancelled a 2015 deal to sell 400 laser-guided bombs to Saudi Arabia, which is leading a coalition fighting rebels in Yemen. A defence ministry spokesman confirmed a Cadena Ser radio report that said Spain’s new Socialist government planned to return the 9.2m euros already paid by the Saudis for the arms under a deal signed by the previous conservative administration. 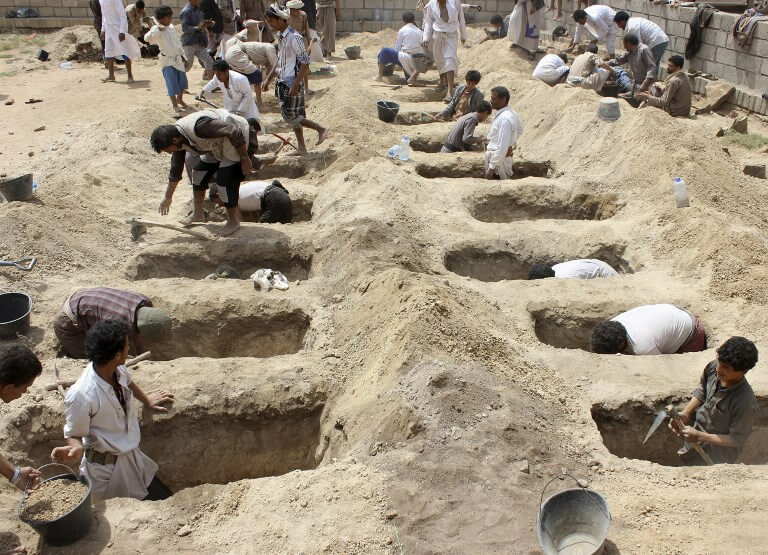 The spokesman declined to elaborate but the announcement comes after an August air strike by the Saudi-led coalition battling rebels in Yemen that killed dozens of civilians, including 40 children. The incident sparked a wave of international anger and calls by the United Nations Security Council for a ‘credible and transparent’ investigation. Saudi Arabia, the United Arab Emirates and other allies intervened in Yemen in March 2015 after Shiite Huthi rebels linked to Iran ousted President Abedrabbo Mansour Hadi’s government from the capital Sanaa and seized swathes of the country. Nearly 10,000 people have been killed in the conflict since then, 2,200 of them children, and sparked what the UN has described as the world’s worst humanitarian crisis. Amnesty International says Spain is one of biggest arms exporters to Saudi Arabia. It and other rights groups, including Greenpeace and Oxfam, on Tuesday urged Spain to stop all arm sales to Saudi Arabia during a meeting with Spain’s secretary of state for trade, Xiana Mendez. The government did not make any commitment to limit other arms sales to Saudi Arabia during the meeting, Oxfam spokeswoman Lara Contreras told AFP. While the 400 bombs which Spain will no longer send to Riyadh represent just ‘one percent of total arms sales to Saudi Arabia, it sends a clear message that it is important’ to the Spanish government, she added. Spain signed an agreement with Saudi Arabia in April to sell the Gulf Arab state five warships in a deal estimated to be worth around 1.8 billion euros.